Before I get to the heart of this little write-up, I have to say that it's a crying shame that the brass at Nintendo decided against releasing this title in North America. Granted, they probably would have sent it to die (i.e., released it without an ounce of promotion) like they did in Europe, but at least I would have been able to pick it up for a decent price. As it is, I spent about $60 on the Japanese version, Daigasso! 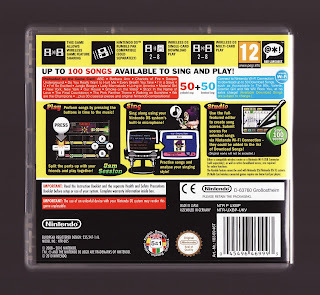 Band Brothers DX, shortly after it was released in 2008, and another $40 on the UK version. Is the game worth such a sum? In a word: Yes. That's mainly, if not totally, due to the fact that it's a ton of fun--or at least I think it is. Playing it is kind of like playing Dance Dance Revolution with your fingers, as you have to press the DS' buttons and directional pad in time with a particular song's score. (Confused? Watch this video.) Speaking of songs: 50 of them--in a variety of genres and styles (a few examples: Beethoven's "Für Elise," "Material Girl" and a Super Mario medley)--are included on the cart. 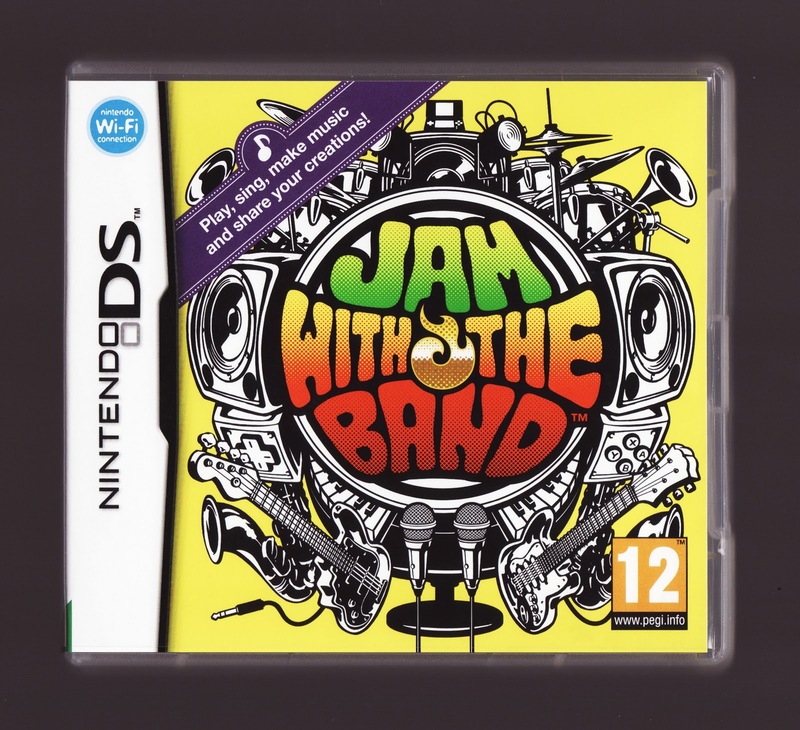 That's not the end of this title's content, though, as Jam with the Band allows players to create their own compositions that can then be uploaded for others to download and enjoy. It also allows people to play together locally (as opposed to online) or sing songs (à la karaoke) using the system's built-in microphone. 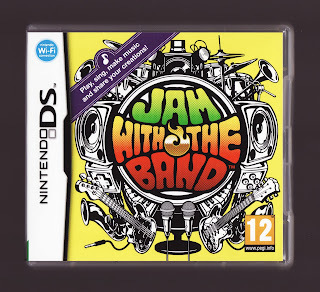 All of those options are welcome additions to the overall Jam with the Band package, of course, but the main reason to pick up the game is the basic, play-along-with-a-particular-tune mode--which, in my mind, could/should have served as a blueprint for Nintendo's much-maligned Wii Music title--detailed at the beginning of this review. Oh, you mentioned that which should not be named. *shudder* Wii Music is the most disappointing piece of crap they've ever released. Jam with the Band, on the other hand, sounds like a blast. I'd be able to play the UK version on my DS without modifying it, right? I didn't totally hate Wii Music, Justin, but I know what you mean. Also, yes, this game is *much* more fun than that one. As for being able to play this on your DS -- yes, you'll be able to play it on your DS Lite without modifying the system. I'm not sure if you could play it on a DSi/DSi XL or 3DS, though. Hey Nintendo, where's my 'New Legend of Zelda'?